Demonstration of the pain detection task, with built-in reflex. Clearly, pain is unpleasant, and we should work to minimize the amount of pain that people are regularly exposed to. As the authors of the new study admit, an ideal prosthesis would “allow the user to maintain complete control” and choose to “overrule pain reflexes” if desired. For example, users should be able to switch off the pain function and have automated, built-in pain reflexes kick in when the limb senses something is causing damage. That’s the ultimate goal, but in the meantime, the JHU researchers are seeking to create more realistic prosthetic limbs capable of delivering a rich diversity of tactile information, including pain. As noted, modern prostheses don’t provide meaningful tactile feedback or perception, so users can’t tell if something is rough, smooth, sharp, cold, or hot. To overcome these deficiencies, the JHU researchers built their e-dermis device by mimicking the way pain works on natural skin. Specifically, they modeled the way nerve cells within skin, called nociceptors, process pain and transmit the resulting signals to the brain for processing via mechanoreceptors (as a important aside, while we experience pain at the point of injury, the actual sensation of pain is produced by the brain). To make it work, the researchers created a neuromorphic system—a device that mimics the behavior of the nervous system with circuits. In this case, their neuromorphic model took the output of the e-dermis (i.e. the tactile information produced when touching an object) and transformed it into electric spikes, or neural signals, that replicated the behavior of mechanoreceptors and nociceptors. These spikes were then used to electrically stimulate the peripheral nerves of an amputee volunteer (i.e. transcutaneous nerve stimulation, or TNS). When provided with this nerve stimulation, the volunteer was able to feel sensations in his artificial hand. 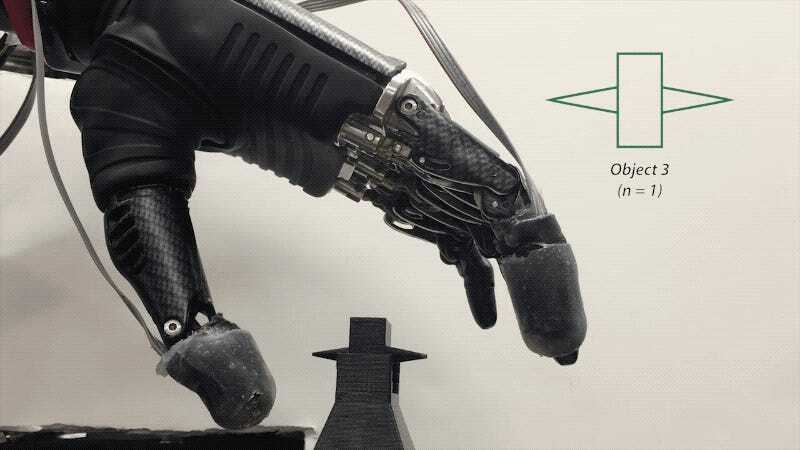 “By adding in different sensations, we can continue to improve upper limb prostheses to make them even more functional and lifelike,” said Osborn.